MALACCA: The sudden appearance of thousands of dead tilapia floating on the surface of the Malacca River near Taman Rumpun Bahagia in Bachang has left even the state Environment Department puzzled. 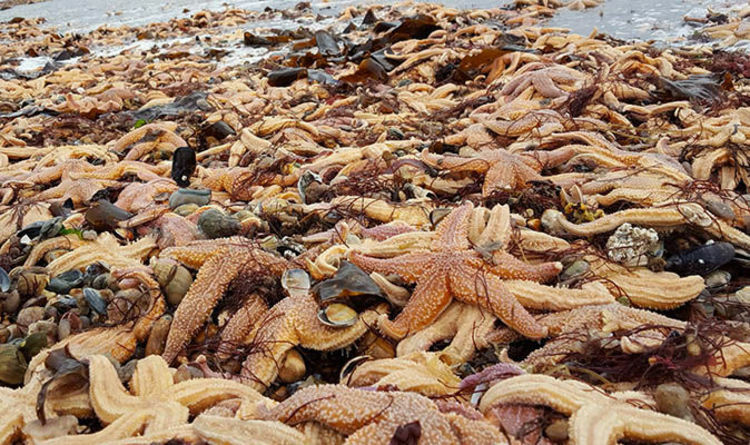 THOUSANDS of stranded starfish were discovered on a beach after Storm Angus battered Britain's coastline. 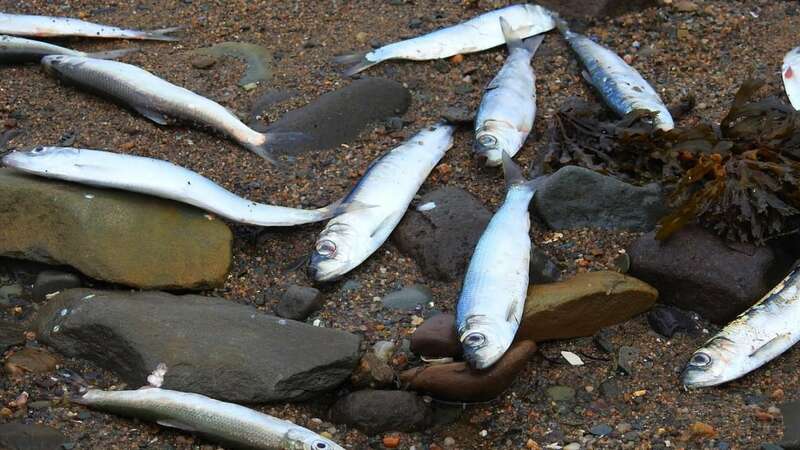 Scores of Atlantic herring are washing up on the shores around St. Marys Bay, N.S., but the reason isn't clear. 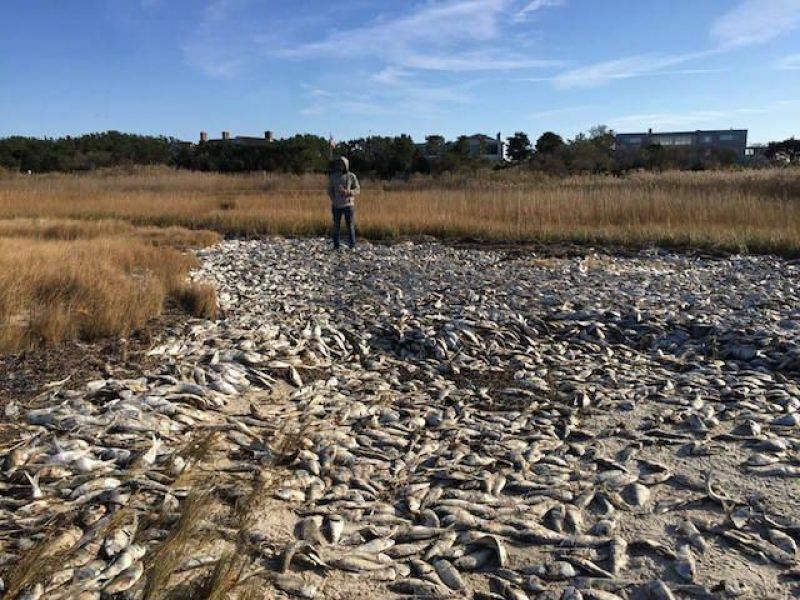 After fish kill, 1.4 million pounds of dead fish washed up; wealthy residents can't turn on heat because smell is so bad, some say. A few blackbirds were also discovered in the area at the beginning of the month, but nothing like the number of dead birds discovered last week.